Used Buick Transmissions Cheap Prices ASAP Motors. Please complete the following fields to receive bids for Buick Transmissions! If you’re looking for affordable and high-quality used Buick transmissions, you’re in the right place. Simply fill out the form above and ASAP Motors will connect you with our network of trusted auto parts sellers. First founded more than 115 years ago in 1899 as Buick Auto-Vim and Power Company, Buick is one of the oldest auto marques in both the U.S. and the world. When General Motors was founded in 1908, Buick became one of its original divisions. Over the decades, Buick went on to build Hellcat tank destroyers during World War II, ventured into the world of performance cars and developed a diverse range of crossover SUVs, convertibles, sedans and more. There is never a good time to have a failing transmission in your Buick. Transmissions should ideally be checked every 12,000 to 15,000 miles to try to head off trouble before it starts. Sometimes even when diligence has been used in the care of a Buick, a blown transmission still happens. Some things to watch for are difficulty when shifting gears, and in the case of manual transmissions, if it slips into neutral seemingly on its own. If you experience any kind of trembling, shuddering or strange vibrations when driving or attempting to start the car or shift gears, these are also strong signs that potential transmission problems are looming. If a blown transmission happens in your Buick, we feature an excellent referral service that will help you to locate used Buick transmissions easily, quickly and for free. Simply fill out a short form, then sit back and rest easy knowing that you will receive quotes for replacement Buick transmissions delivered right to your email inbox or through text messaging. Our excellent leads help you to locate the best deal on a quality used transmission. Then it is totally up to you to choose the best quote from all of the Buick transmissions for sale. When you use our service, you are under no obligation, and you’ll receive multiple quotes from a number of highly reliable sources to help you find the best deal in a quality transmission. Many of the transmissions featured also have warranties available for a small additional charge, which may be worth purchasing for extra peace of mind that you’re covered if any problems arise. Why waste time on the phone calling around trying to find a quality replacement transmission, or the time spent driving from one recycle place to another when an easy solution is literally at your fingertips. Simply fill out our easy, quick online form and receive your quotes today. Once you fill out the form, simply wait as our vendors check their inventory and quickly get back to you with their best quote on a used Buick transmission. Sooner than you could ever imagine you can be back on the road again, with as little expense and interruption to your life as possible. No matter if you’re looking for a LeSabre 4T65-E transmission or an Enclave 6T75 transmission, we can help you find exactly what you need. Buick has targeted a variety of markets over the years, but it’s always remained loyal to the premium segment. Today, it’s known for creating high-quality premium cars that anyone can appreciate. Among its various distinctions, Buick is also renowned as one of the most reliable American car brands, and in 2017 was the only U.S. brand to be included in Consumer Reports’ list of the 10 most reliable automakers. These are a few of the questions we frequently get from customers looking for a used Buick transmission. Q: What’s the average price of a used Buick transmission? A: The exact price of your chosen transmission will depend on its year and model. However, most customers pay between $150 to $1,000 for used Buick transmissions. Q: Who makes Buick transmissions? A: As a division of General Motors, Buick transmissions are almost all made by General Motors. Some Buick models share transmissions with other General Motors divisions, such as Oldsmobile and Pontiac. Additionally, some Buick transmissions were made by both GM and Ford, while others are manufactured by Aisin. Q: Will my used Buick transmission come with a warranty? A: ASAP Motors doesn’t directly sell used transmissions, so we can’t say whether your used Buick transmission will come with a warranty. If a warranty is important to you, we recommend communicating directly with the auto parts brokers we put you in contact with. Always remember to fill out the proper warranty paperwork before making a purchase on any used auto part. Originally released in 1958 and produced until 2005, the LeSabre is undoubtedly one of Buick’s most iconic cars. This full-size car once featured the flashy fins of mid-century vehicles but evolved to sport a sleeker, more streamlined body. It’s been exclusively available with automatic transmissions since 1965. The Buick Regal was first available for model years 1973 to 2004, and production resumed again in 2011. Initially sold as a mid-size car, the Regal has been a high-end sports sedan since 2011. 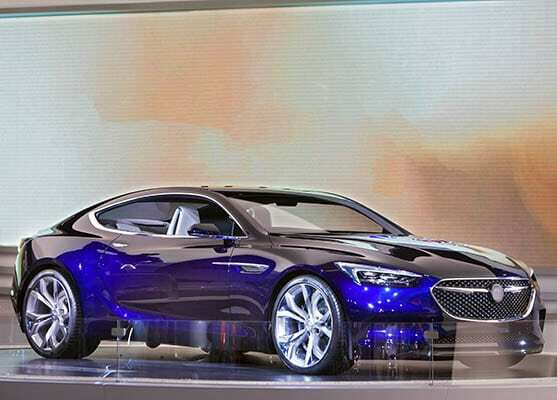 With its luxe, high-end design, the Regal is attracting many younger buyers to the Buick marque. Before 2018, it was available with both manual and automatic transmissions. The Buick LaCrosse is a mid-size/full-size executive car that was first sold as the Allure in Canada in 2005. Its elegant exterior design and wealth of high-tech safety features have made it a popular choice among customers. It’s only ever been offered with automatic transmissions. Notes: Low mileage trans. Trans is 1999 specific.